Microsoft Corporate VP of Worldwide Partnerships Jon Roskill indicated the Microsoft Partner Network may soon require those channel pros looking to achieve Gold competency levels to include Office 365 and other cloud services in their portfolios. Roskill revealed that bit of information and a little more about Microsoft’s channel roadmap in an interview with Redmond Channel Partner. Of course, “soon” is a relative measure — any changes made to the Gold tier would go in effect for the 2014 fiscal year, which begins in 21 months. But all the same, Roskill said his team already sees the best partners as the ones who make the cloud a significant part of their business. Of course, Roskill said 21 months is a long time, and any changes would have to be made after long discussions with Microsoft partners. 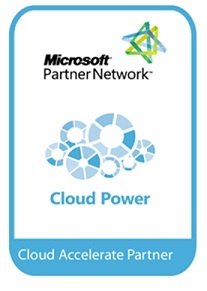 It’s no secret that Microsoft has been heavily promoting its cloud services amongst the service provider community. Obviously, the major push has been for the Microsoft Office 365 productivity suite, but there’s room in the channel for Microsoft Dynamics CRM Online, Microsoft Windows Intune and Microsoft Windows Azure. Essentially, Microsoft has identified the trend that moving to the cloud is no longer optional, and moves must be made. So what do you think? Prelude to a Gold partner revamp or a lot of sound and fury, signifying nothing? Let us know your thoughts in the comments.